What to do if I find termites in my house? Your local Jim’s Pest Control franchise is experienced and fully equipped, ready to treat your pest problem today. Call now to speak to your local pest professional. Are you ready to own a business that will give you the freedom to work your own hours and enable you to realise your true earning potential?! Call Jim’s now to take the first step. Jim’s Termite & Pest Control was established in October 2010 and specialise in Commercial and Domestic Pest Control Services including General and Timber Pest Management treatments. Jim’s Termite & Pest Control is currently the fastest growing division in the Jim’s Group with over 50 franchises sold throughout Australia.We operate in every main-land State of Australia and have local Franchisees in every Capital City. Your local franchisee is a business owner in his own right and not a Jim’s employee. The service he will provide you will reflect the fact that he will value you as a customer for now and into the future. Covering all of Adelaide and surrounding suburbs, Jim’s Termite & Pest Control Adelaide will offer local knowledge, experience and expertise. Our Adelaide pest control technicians are fully trained in the all areas of pest control, qualified, licensed and Comprehensively Insured. They will understand your pest control needs, turn up on time and offer highly competitive prices. They also have a commitment to great service and will guarantee the work they do. Being part of the famous Jim’s Group, you also know we are a brand you can trust. 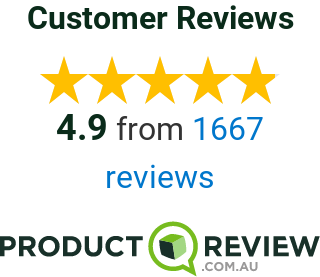 Call Us Now on 131 546 or Enquire Online and we'll work with you to quote on and control your Pest Problem! We had Mat from Jims come out to treat our wasp and spider problem and we cannot recommend him enough. Excellent service and pricing, will definitely use again. Very professional, easy to deal with and great results. I have used Jim’s Pest Control in different areas and I am impressed by the consistent professionalism across Jim’s services. I have recommended Jim’s Pest Control services to multiple family members and friends. I was very pleased with Jim's Pest Control service. Shayne initially arrived to sort out noises coming from the ceiling, & set baits, successfully sorting out the problem. He also did a termite inspection of the house, garage & surrounds. He was extremely thorough, professional, & very knowledgeable. I am happy to recommend his services, & would be happy to have follow-up inspections in the future. Thank you Shayne! I had Sam come out for a spider treatment. He was very professional and explained the treatment to me. Very happy with the results as I have not seen any spiders since. This man is awesome .... my home was full of ants and other little mot so liked insects and he took care of it and no fuss ... awesome customer service and a wealth of knowledge! Thank you so much !!! Jim’s Pest Control in Adelaide offers the best service and value for money. More importantly there is no BS just straight talking, highly knowledgeable people who offer a great service. Can’t fault them. We recently had an external termite system installed around our home. The technicians arrived promptly and were professional and friendly, explaining the system and how they would install it. We have small outside dogs and the technicians were aware of the security issues associated with keeping little dogs from bolting. The system was installed in a couple of hours and all mess was cleaned up. We are very happy overall and with the peace of mind the system will now give us, I shall sleep well.